I've been working on these for about 2 days now and was hoping for some feedback to see if these are good or still need work. I thank anyone that comes by and looks or leaves a comment about it. I've been working on pixel animation (I know they are just frames and not a real animation but that's why I'm here) and I'm hoping for some feedback. 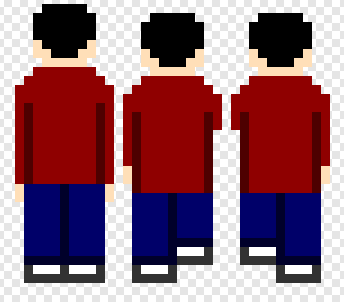 This character is only for practice so I can get the hang of pixel art but for now I'm I going in the right direction or I'm I way off and need much more practice because I really want to get better at pixel art. Thank you to anyone that looks or leaves a comment. 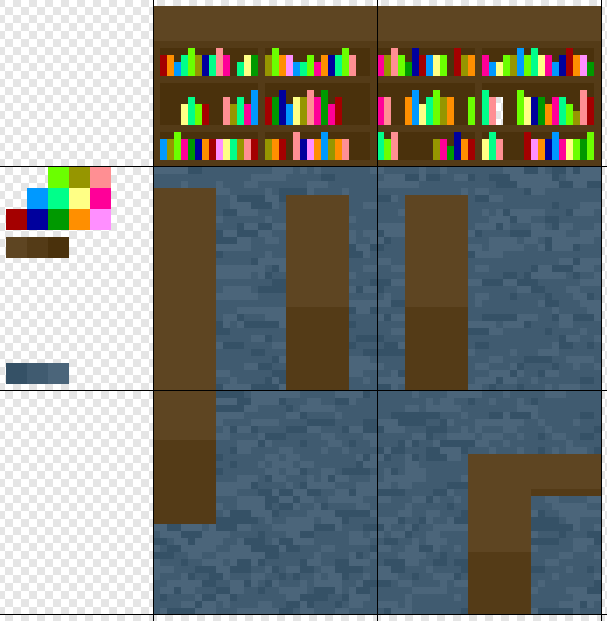 I think you could improve your bookstore sprites by toning down the bright colors of the books. 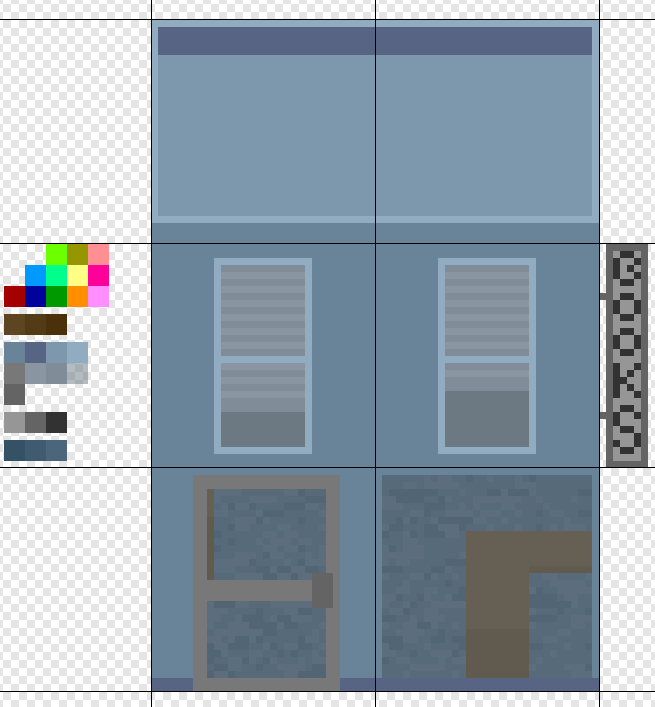 You chose a soothing, duller blue palette that works well for the floor and the storefront, so desaturating the books a bit will help them match better. Also, I just noticed one of your books is empty (middle furthest-right shelf). 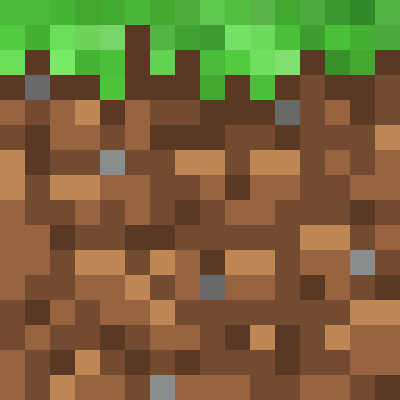 I think the color variation in the carpet and dirt is a nice touch, you should try doing that with the grass as well (or maybe add flowers, rocks, etc.) 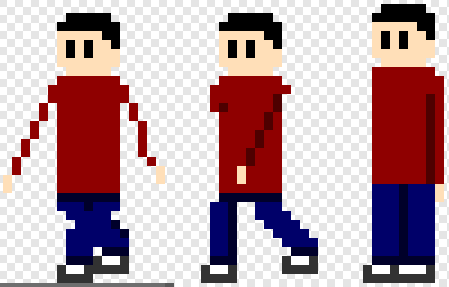 As for your walking sprites, you should try making a gif so we can see it in action! Judging from the stills, I think you're heading in the right direction. 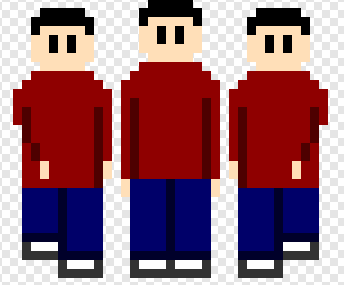 The arms look really thin when your character moves them away from their body--you might want to try making them 1px thicker, or bending them so it looks a bit more natural. 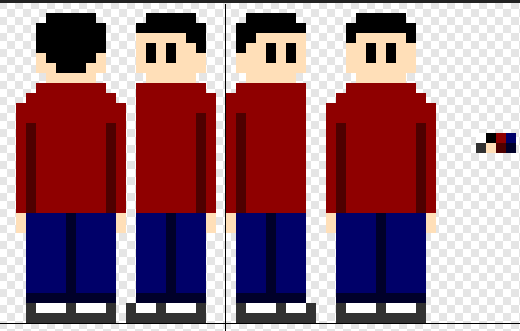 In the GTA video, the arms have a 1px outline, so they don't seem as thin. 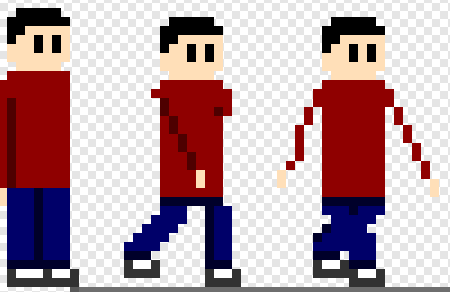 Also, I wonder if adding a crease where the leg bends in your back walking sprites might make things more interesting than just shortening the leg. Hope this helps! Also I just wanted to say, congrats on taking the first step and putting your work out there! You've picked some good references and it's a great idea to start with something simple to get the hang of making sprite art and animating. Good luck with your project!